The bananaquit is a bright yellow bird with black wings that is common in the Carribean. 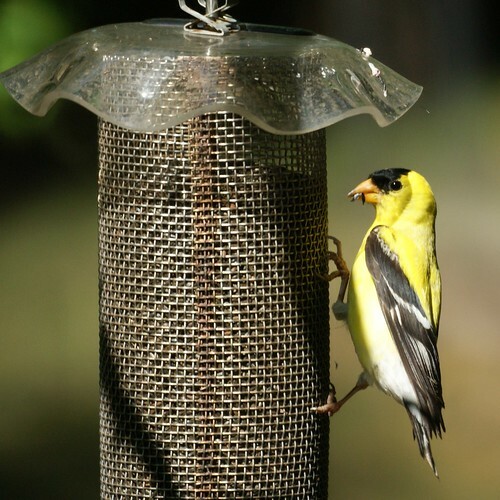 New Jersey's state bird, the goldfinch, has nothing to be ashamed of and compares quite favorably to the bananaquit. Its yellow is even more brilliant in the summer.